Ask ten people what’s so great about 211 Clover Lane and you’ll get ten different responses. Intimate. Refined but not stuffy. Like being in your own home, but better. Outstanding food. The best staff in Louisville. Nancy Miller, a confessed regular, articulates the allure. I’m not one to dole out praise willy nilly. When I say 211 is special, you know I mean it. So do more than 20 women I know quite well. 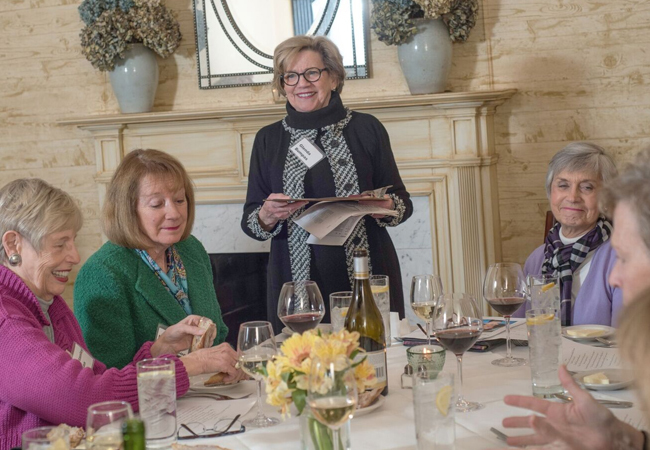 We’re members of the Metro Book Club, a group that focuses on good food, good wine and good literary discussion, sometimes in that order, although we’d like to think the literary part comes first. As delightful as we are, we’re not the easiest bunch to please. A few of us order only a salad, others an entrée. That’s before a couple of us change our order, move to another seat, destroying the seating noted by our server, and decide that yes, we’ll order the specially priced wine by the bottle rather than just the single glass we originally chose. You get the idea. If our servers, gems of friendly patience, think it’s chaotic, they never let on. 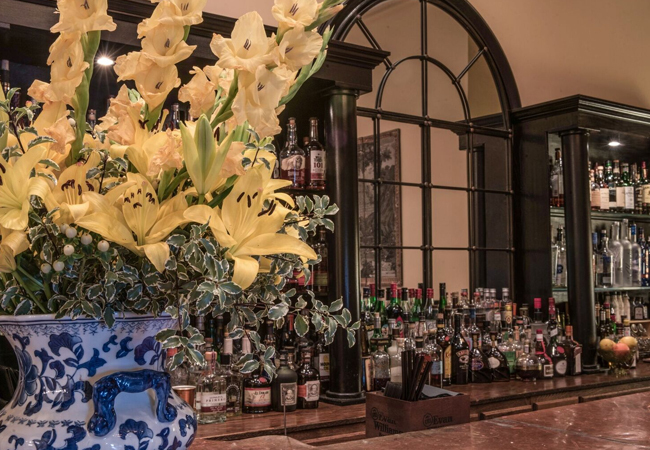 Executive Chef Allen Heintzman’s background in French and Mediterranean food sets the tone for his menu, but doesn’t limit a broad range of culinary expression. “I pull from those regions and even incorporate Asian flavors to make the menu exciting,” he says. His menu changes daily but he never deletes a few perennial best sellers such as trout Meunier with lemon caper brown butter. As he says, a dish is popular for a reason and he’s not going to fight that. 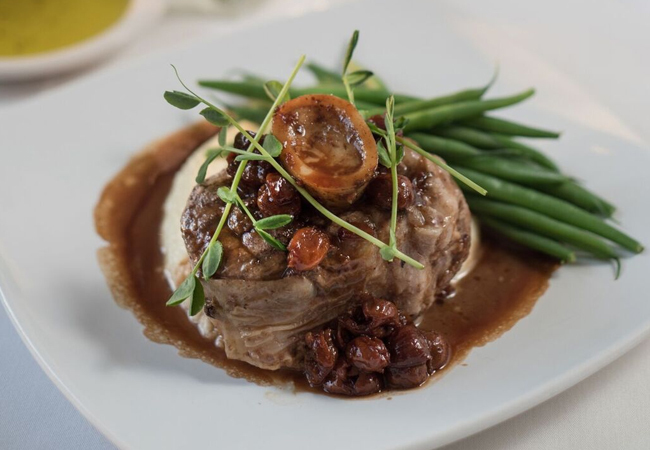 Rotating daily specials may include Moroccan-style lamb shanks with preserved lemons and olives, roasted pheasant with a soy and elderberry lacquer, and veal, pork or beef served with root vegetable purée, a healthy alternative to whipped potatoes. If the trout is on the menu, interior designer Lee Robinson may order it if he allows himself a diversion from a house salad and grilled chicken with grilled squash and zucchini, which comes in at only 500 calories. “I have lunch in the corner booth at 211 every day. If I sit there long enough, I’ll see everyone in Louisville. It’s like being at the ‘21’ Club in New York, where I see everyone I know from the city,” says Robinson. He and his wife, Babs, are frequent 211 dinner guests. “They have the best filet in town. It’s phenomenal. And their Sunday brunch is the best in Louisville. I might get the filet for brunch, but I also like the salmon Benedict. And, of course, fresh, hot scones.” As a graduate of Center College, sitting across from the Stephen Powell sculpture is an added bonus for Robinson. 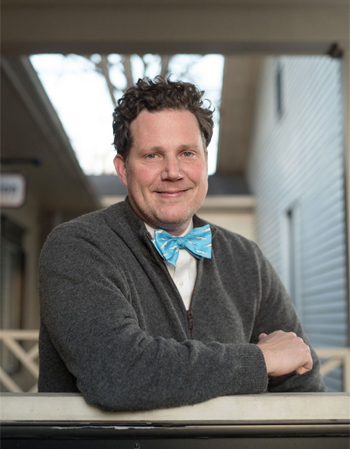 Having an office next door, he drops in to 211 for a business meeting or to meet friends after work for a drink, his drink of choice being a martini made by bar manager Emily Hornback. “I like to research and look at different flavor components for cocktails, and I keep the door open for trends, staying creative with seasonal herbs and fruits. My specialty is to let the liquor speak for itself and not dampen it with a lot of ingredients. Too many can be too much,” she says If you’re in a trendy cocktail mood, she’ll mix you a New Fashioned: Old Forester 86 proof, Angostura bitters and house demerara that’s infused with cinnamon and vanilla bean, served over ice with a lemon peel. Or try her basil gimlet that features Tito’s vodka, lime juice, demerara and fresh basil, served over ice with a basil leaf garnish. Do people confide in her as is often depicted on television? “Our customers have named me a very endearing term, their spiritual advisor. It depends on the individual whether I offer advice,” says Hornback. “You get a sense of reading people and finding out what they need." The career found me. I was studying to be an English major when I started cooking at De La Torres, on Bardstown Road, in the late ‘90s. I fell in love with cooking, but I got my degree. What do you like most about 211 Clover Lane? The intimacy and that I know so many of the customers very well. And the ambience fits my style of cooking. 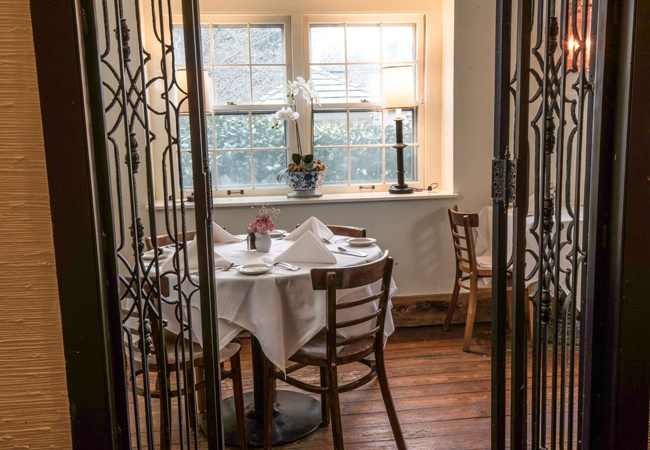 Do you enjoy going into the dining room and talking to diners? I do but I’m a little shy. I should get out there more. It’s a bit into the new year, but maybe that will be my New Year’s resolution. Lentils are my favorite food. I could eat them every meal. Is there any food to which you would say, “Thanks, but no thanks”? Tongue. I can’t bring myself to eat it. Do You have a team of eager chefs at home? Yes, my daughters, Juliette, three years old and Josephine, seven years old, cook with me. They like to grill and to bake any kind of cookies and muffins. And they make a great risotto. It’s surprising they don’t get tired of the stirring. What would you be if you weren’t a chef?